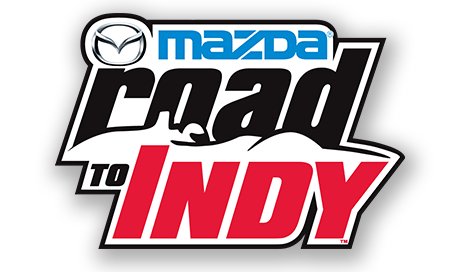 Mazda Road to Indy is a web TV series following the teams and drivers of the USF2000, Pro Mazda, and Indy Lights series. 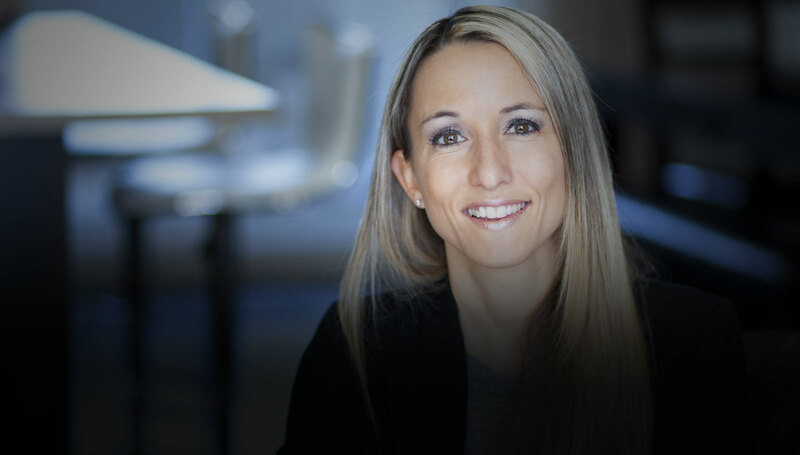 Road to Indy relies heavily on social media to distribute each new episode and reach new viewers. 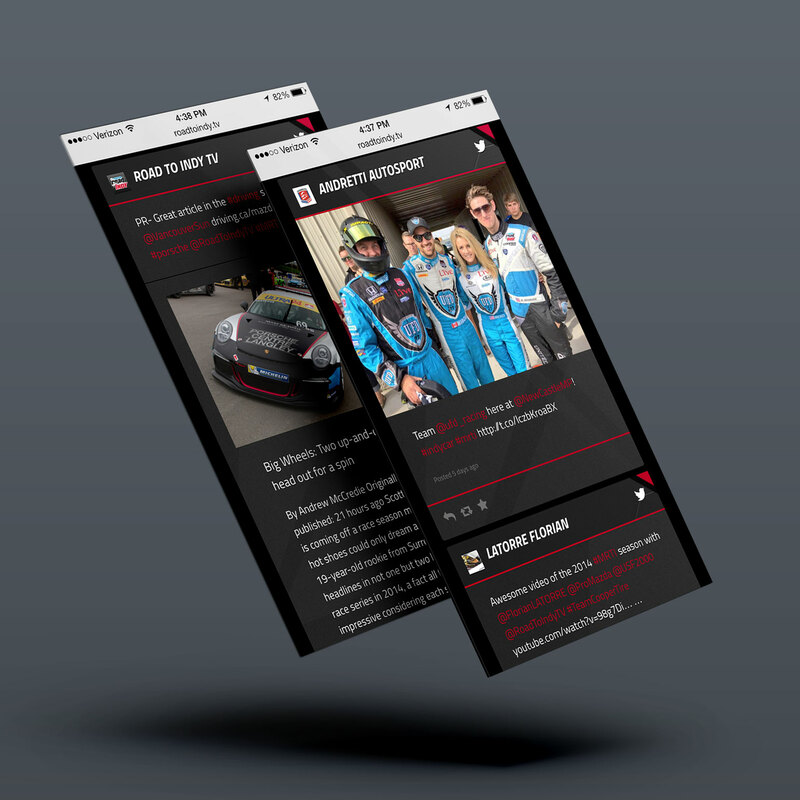 Using a fully-customized configuration of TwineSocial, Tampa-area sports marketing agency Pro Racing Group created a website for Road to Indy TV, focused on content consumption and sharing through social media. 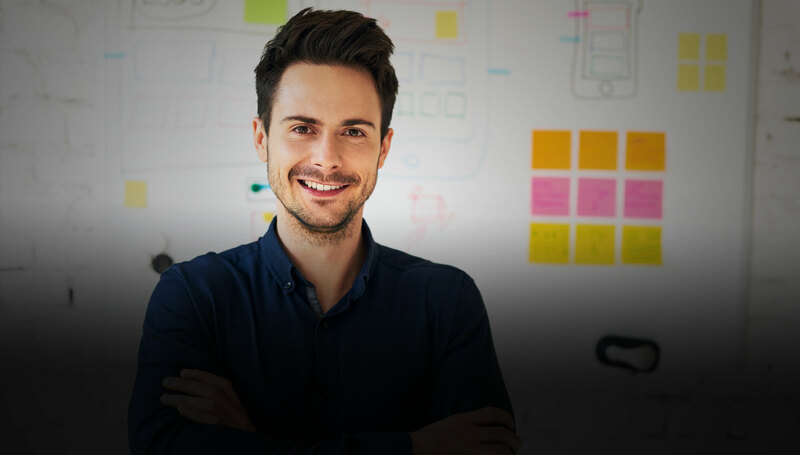 With TwineSocial’s Promoted Posts, Road to Indy features each episode prominently at the top of their homepage social wall. 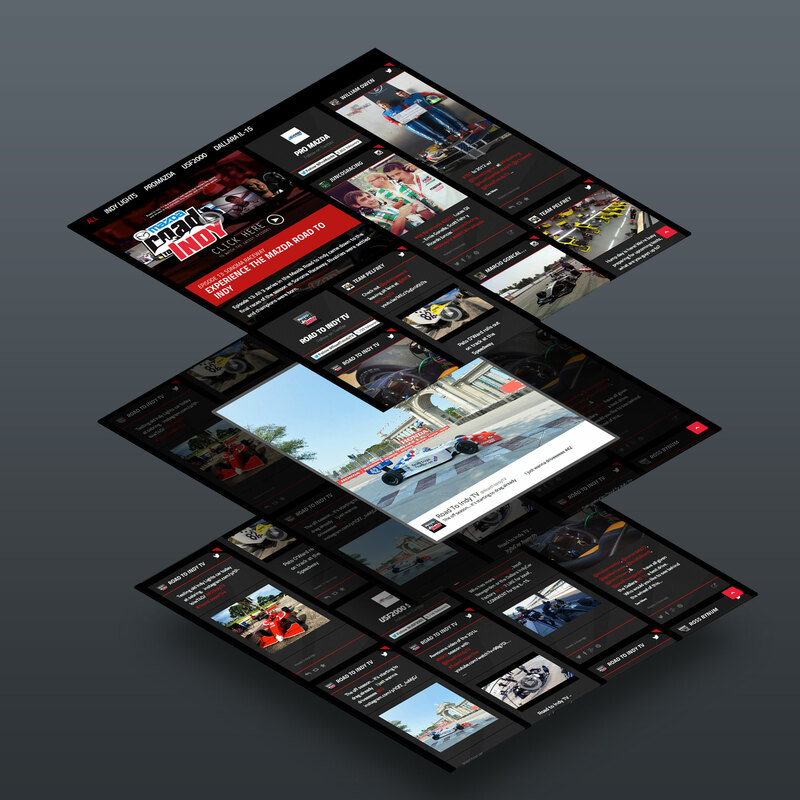 A navigation menu lets new visitors easily choose to view posts from their favorite race series. 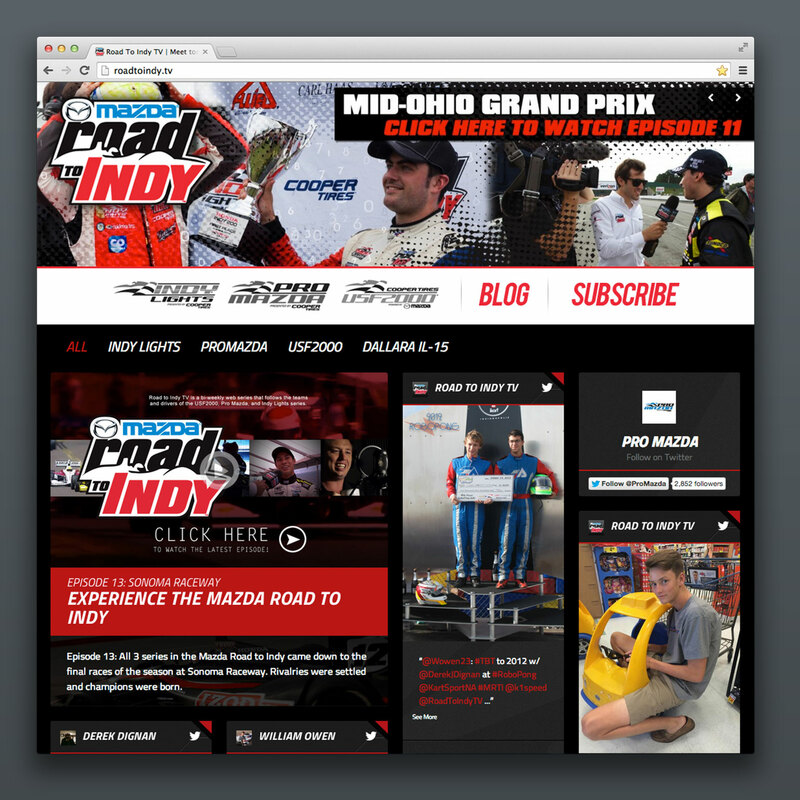 Plus, working closely with TwineSocial’s design consultants, Road to Indy TV’s social media hub integrates seamlessly with the Mazda Road to Indy trade dress. 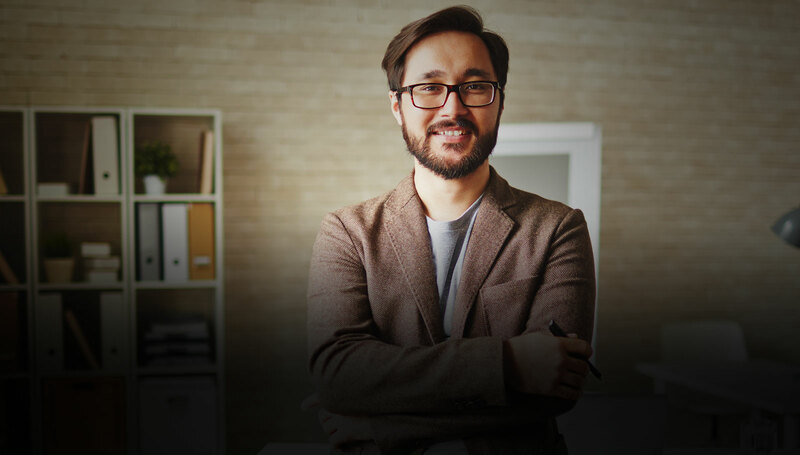 TwineSocial continues to serve a key role in Road to Indy TV’s website, driving conversation around each episode. 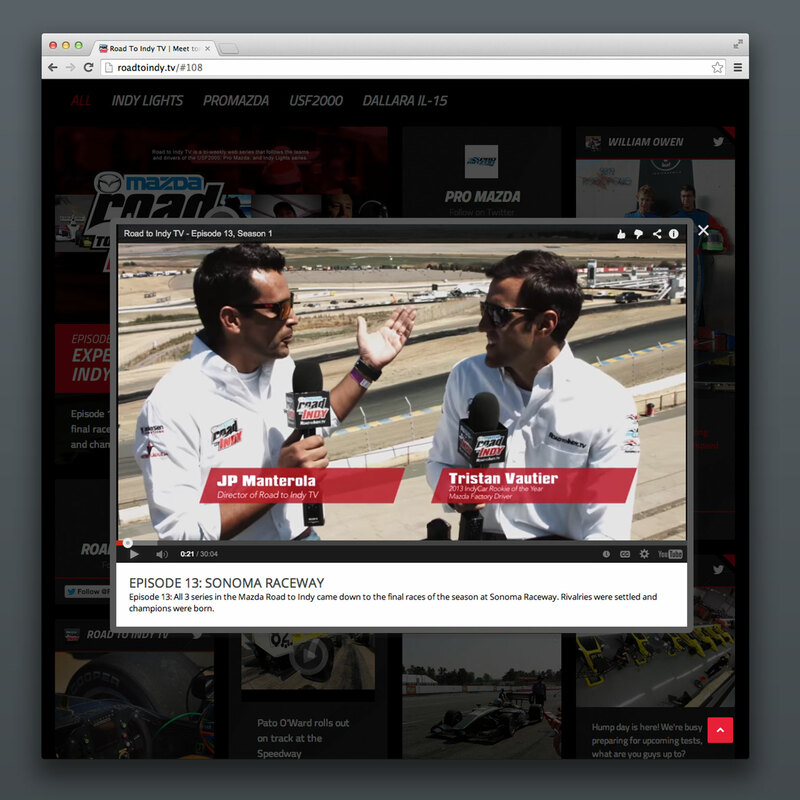 Seamless one-click moderation lets staff curate the social content easily, and Promoted Posts allows Pro Racing Group to update each week's episode without taking their eyes off the road.